Anji was hired at the Bannerghatta Biological Park a week before he was attacked by the cubs. 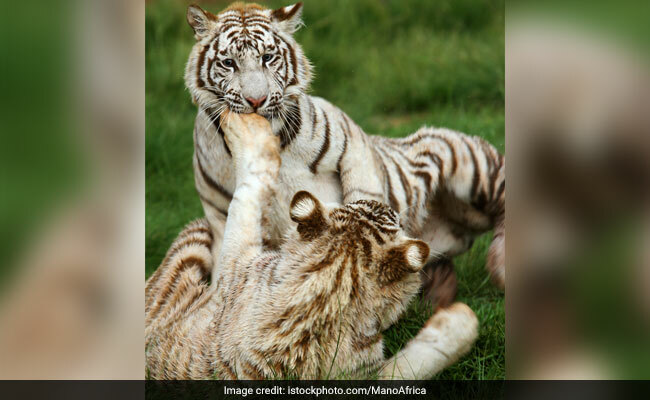 An animal keeper was killed by two white tiger cubs at the Bannerghatta Biological Park on the outskirts of Bengaluru. Anji, 41, was recruited at the wildlife park about a week ago. He had gone to place meat inside the enclosure for the animals without noticing that it was open on the other side where the cubs were resting, sources said. He tried to escape, but the cubs of tigress Sowbhagya chased and killed him, they said. The police have registered a case of unnatural death based on a complaint by the park authorities. "Since a police investigation is on, it is not fair on my part to give any reason behind Anji's death," the park's executive director Santosh Kumar said. Two years ago, another animal keeper was badly injured in an attack by lions at the park. Five royal Bengal tigers attacked and killed a white tiger recently. The 1,346-acre (545 hectare) Bannerghatta National Park houses 1,941 animals including Bengal tigers, lions and leopards, according to its website. White tigers, regarded as an endangered species, are found in southern and eastern Asia, particularly India, and owe their colour to a recessive gene.